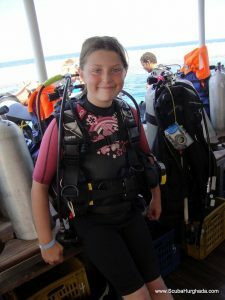 Youngsters can join in the family fun of scuba diving or even start a trend! We introduce scuba diving as an activity that allows children to experience the amazing underwater world. Under close supervision, participants swim around on scuba in shallow water. An unprecedented experience and lots of fun! 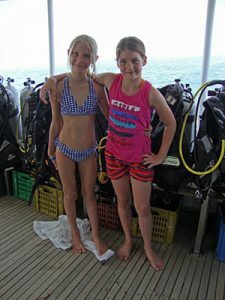 Kids from 10 to 15 years old can earn their Junior Scuba Diver or Open Water Diver certification cards. 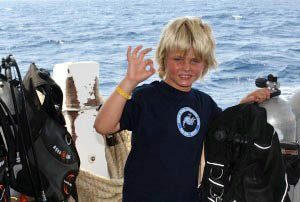 The course consists of academic work, skill training, 4 open water dives and a whole lot of fun. After certification, they’re ready to dive with their adult buddies! 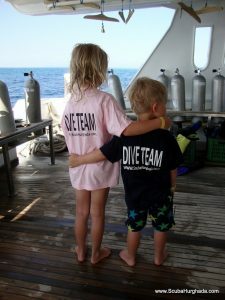 It’s never to early to learn additional dive skills. 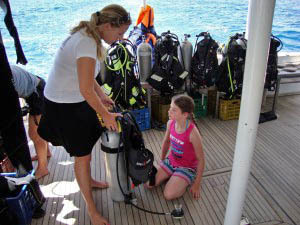 Advanced Open Water Diver and many dive specialties are open to certified Junior Open Water Divers. Why not sign up for a continuing education course with them? What are the costs? See the Pricelist button for our online prices!